WaveForms logo from our website. Maybe I’m a little biased because I began my education in engineering using WaveForms, but WaveForms is an awesome software and there’s almost nothing it can’t do. And all of its power is packaged together to seamlessly connect to Digilent’s analog design products with an easy-to-use interface. Let me explain each of the instruments included to back up my claim of how awesome it is. 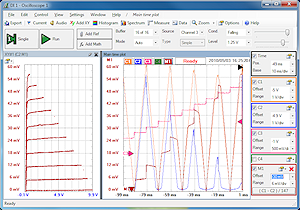 Screenshot of the WaveForms oscilloscope. The oscilloscope within WaveForms offers powerful triggering options and AC/DC coupling. It can also display Fast Fourier Transform (FFT) and XY functions in real time. When you have collected the data you want with the WaveForms oscilloscope, it is a simple process to export the data and WaveForms supports several formats in doing so. 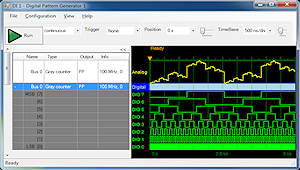 Screenshot of the WaveForms Logic Analyzer. 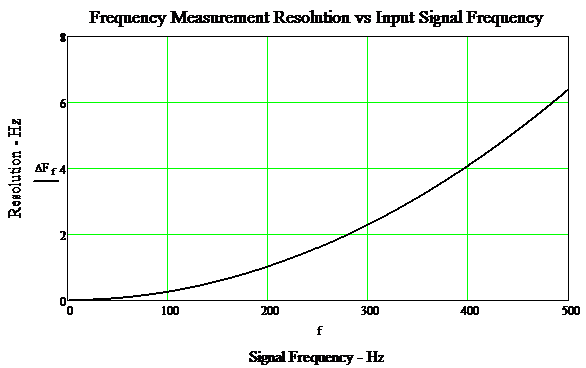 In addition to the oscilloscope, the Logic Analyzer is a great tool to observe digital signals. The WaveForms Logic Analyzer works with both internal and external clocks and triggers. It has multiple options for displaying the signal and supports a variety of file formats when exporting the data. Screenshot of the WaveForms AWG. The Arbitrary Waveform Generator, or AWG, is probably my favorite tool in WaveForms. The AWG can supply standard, complex, and even user-defined waveforms. Some of the more common waveforms that it supplies are square waves and sinusoidal waves. All waveforms can be configured with an amplitude of 0 to 5V and with frequencies as low as 100μHz up to 10MHz! It can also provide a DC signal on the range of -5V to 5V. 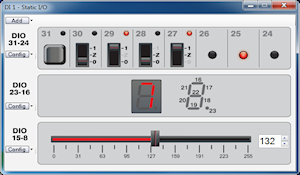 Screenshot of the WaveForms Digital Pattern Generator. 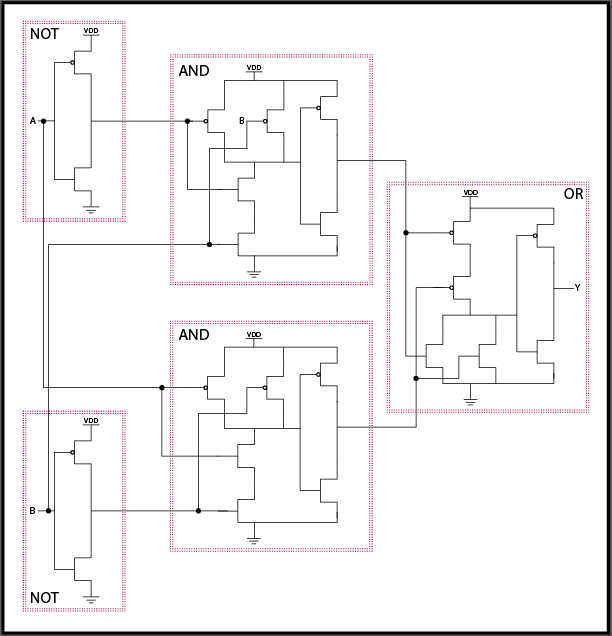 The Digital Pattern Generator is basically a digital version of the AWG. Patterns can be generated randomly, with clocks, with other components or defined by the user. 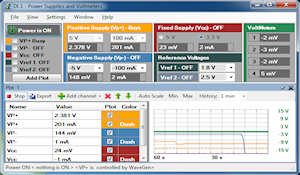 Screenshot of the WaveForms Power Supplies. Power supplies can be configured within WaveForms as well. There is a programmable supply of +/-9V at up to 1.5mA. There are also fixed 3.3V/5V supplies. 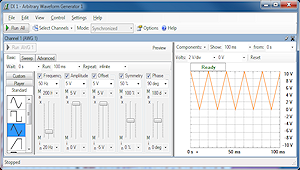 Screenshot of the WaveForms Voltmeter. The voltmeter makes it simple to monitor voltages at any part of your circuit. It’s incredibly simple to use the voltmeter with Digilent products like the Analog Discovery. Rather than using a full-size voltmeter, channels built into the Analog Discovery can be just as easily connected to your circuit as all the other Analog Discovery connections. This convenience really speeds up prototyping and troubleshooting. 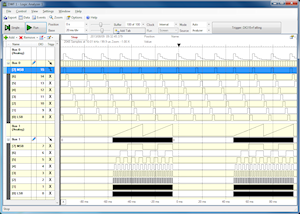 Screenshot of the WaveForms virtual I/O devices. The static I/O provides virtual I/O devices to represent push-buttons, switches, LEDs, seven-segment displays, and progress bars. This puts the full functionality of any circuit or development board right on the screen in front of you. 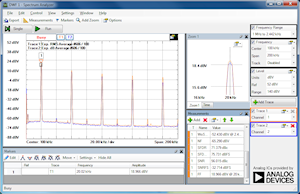 Screenshot of the WaveForms Spectrum Analyzer. Last but not least, the Spectrum Analyzer computes and displays the spectrum of an analog input signal. The Spectrum Analyzer supports both Fast Fourier Transfrom (FFT) and Chirp Z-Transform (CZT) algorithms. It can compute averages and measure harmonics and excursions as well. Like the Oscilloscope and Logic Analyzer, it supports various formats for data export. WaveForms is an all-in-one electronics laboratory. It offers all of the tools necessary to design, simulate, and control analog and digital circuits, and it’s designed to work seamlessly with Digilent’s Analog Discovery and Electronics Explorer Board. WaveForms is one of my favorite software programs to work with and it’s a great tool for all students, teachers, engineers, and hobbyists. It can be downloaded for free from Digilent’s website at this link. Try it out! 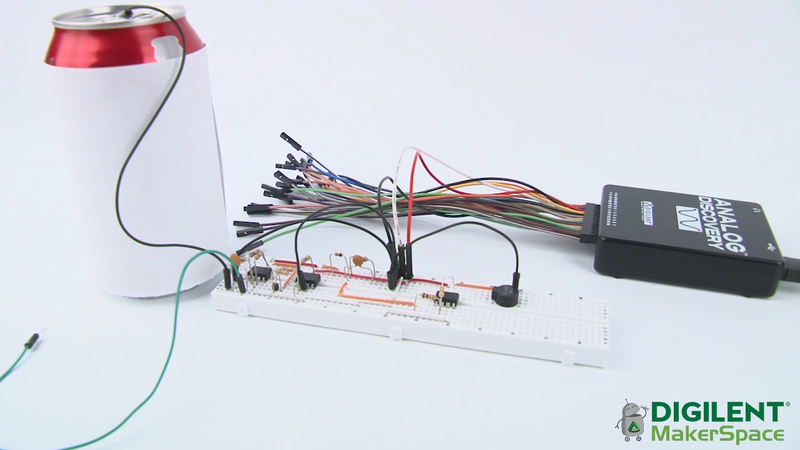 For some tutorials on how WaveForms works, check out some of the Analog projects on our Learn Site! Next Article Where Can I Get Digilent Products? The Asia/Oceania Edition!